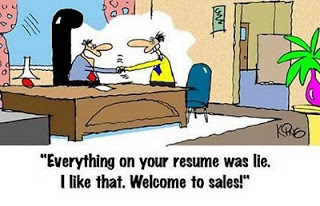 Sales is like an art and artists (they may be rogues, charlatan, dream makers, seducers etc.) do their best when they are left alone with less supervision. A sales review meeting, once in a week, backed by metrics is good enough to keep action plan in track. The underlying principle here is aligning core activity to right skills of a person. In the end, what enables a sales personnel to succeed is the ideal balance between who is he? and what he is being required to do?